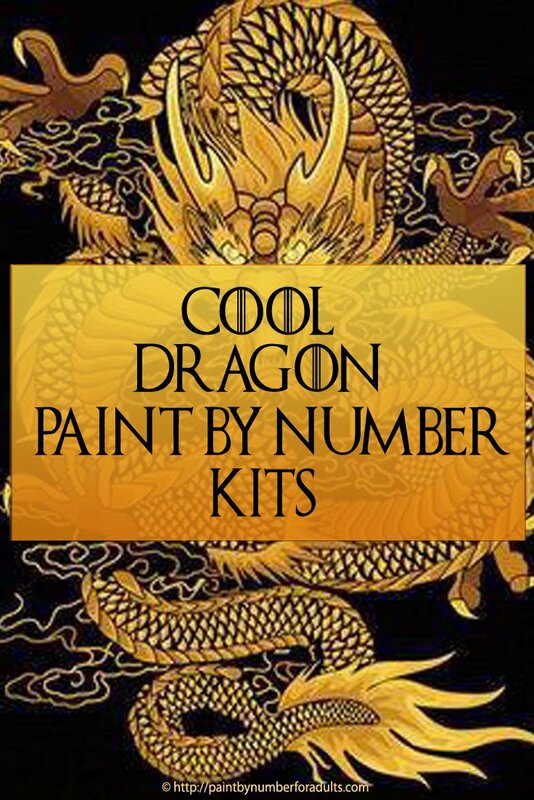 Are you looking for some cool Dragon Paint By Number Kits? 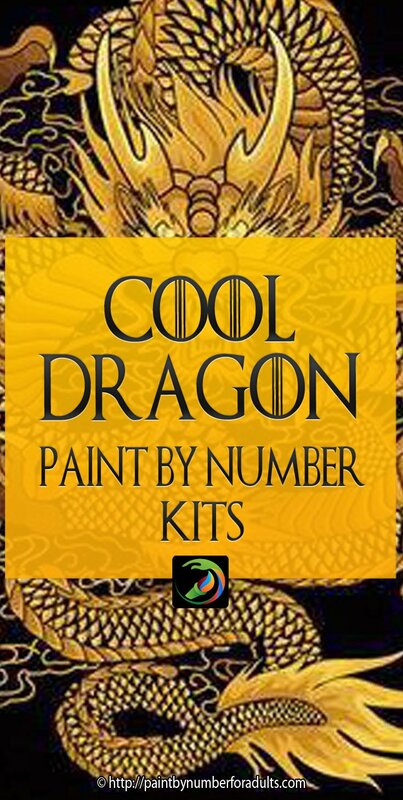 If you are looking for some really cool paint by number kits of dragons, you’ll find that there are not too many available to buy. 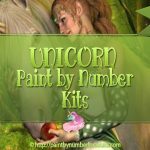 I’ve been searching for quite some time and really I’ve only found a few dragon paint by number kits. 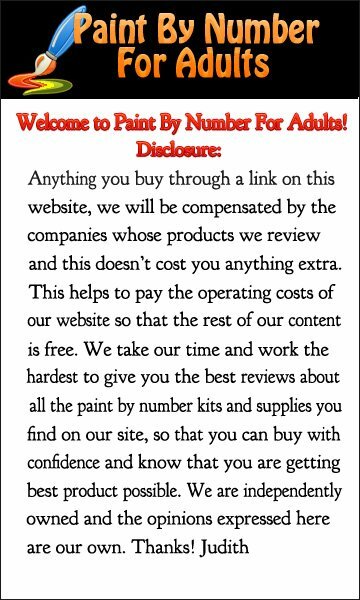 However, I’m always on the look out for new paint by number kits and when I do come across a new one I’ll be sure to make them available on this page. 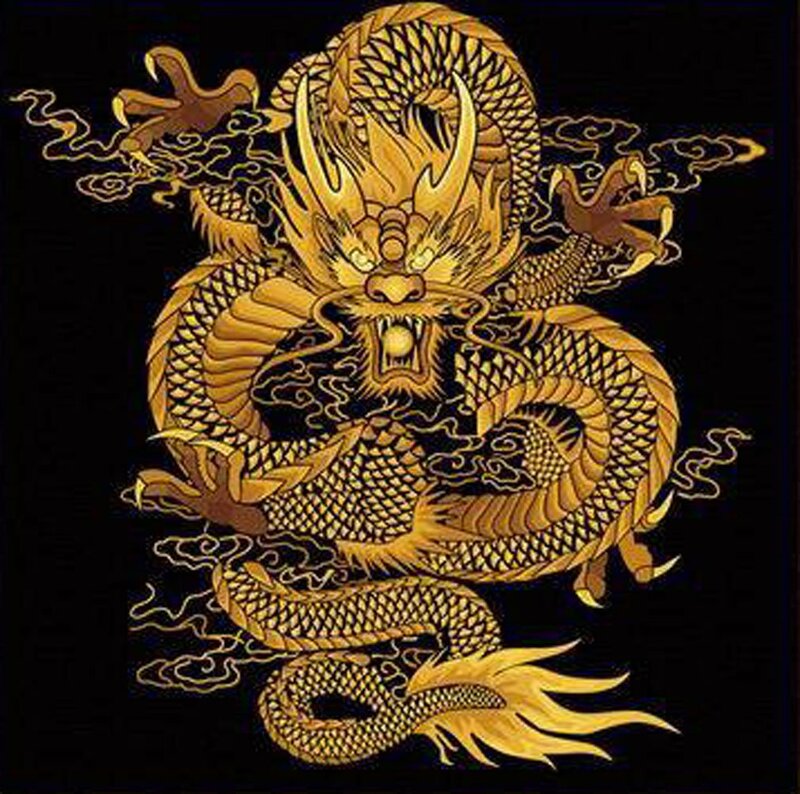 These legendary creatures have been featured in many in the myths of many cultures around the world for thousands of years. 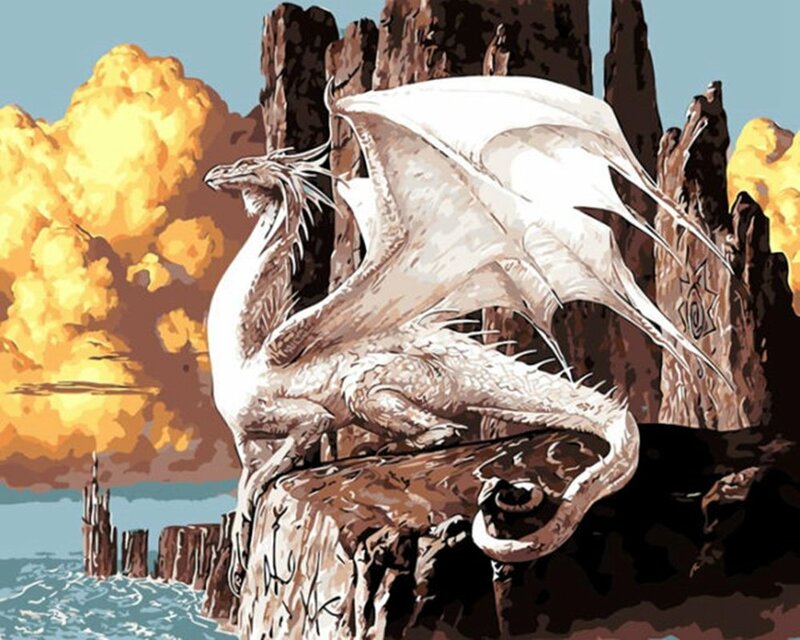 If you’re looking for a fire-spewing dragon paint by number kit to work on you’ll find a few below. 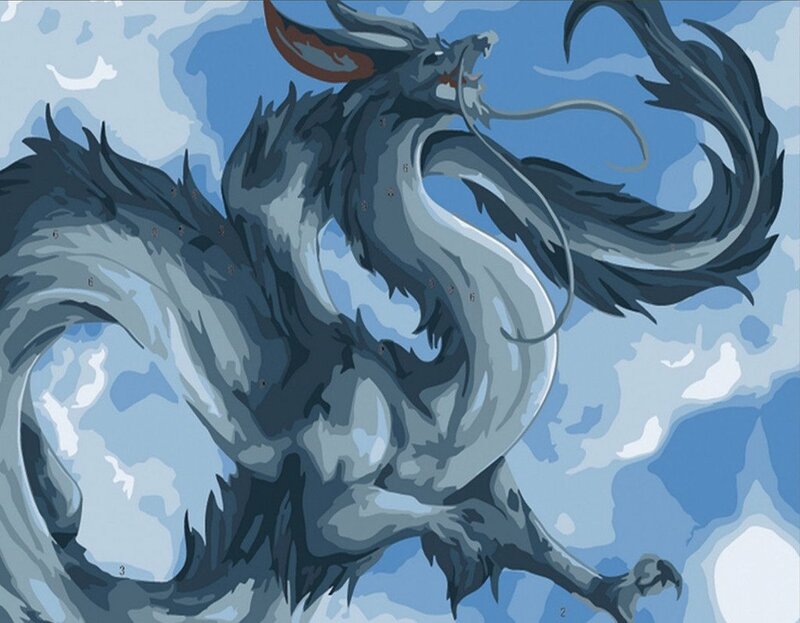 If you love Dragons, this Chinese Dragon paint by number kit will be well worth your time. 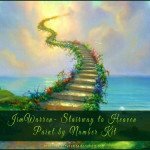 When finished it is striking. 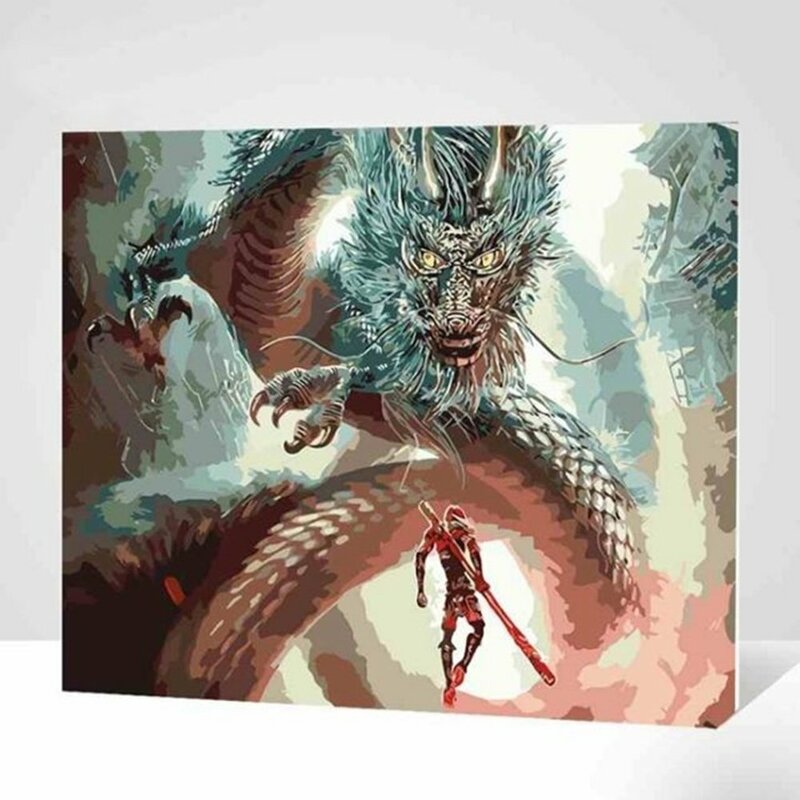 This paint by number kit comes with a pre-printed canvas and no frame. You will have to buy a stretching wood frame extra. 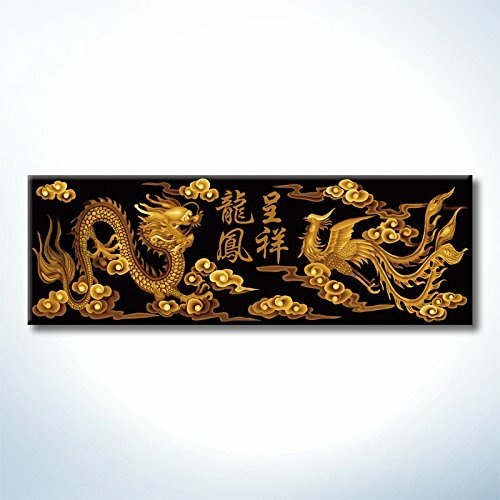 This Chinese Dragon paint by number kit comes with everything needed to complete your painting. 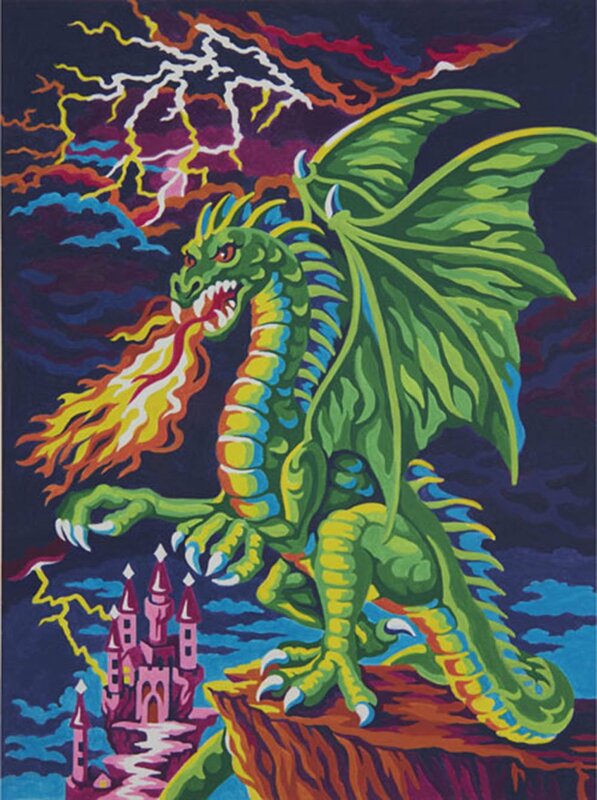 This is a fairly easy dragon paint by number kit by Dimension crafts that measures 9 inches by 12 inches. 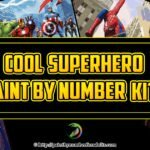 This paint by number kit comes with: 8 quality acrylic paints, a printed art board, one paintbrush and a set of easy instructions. 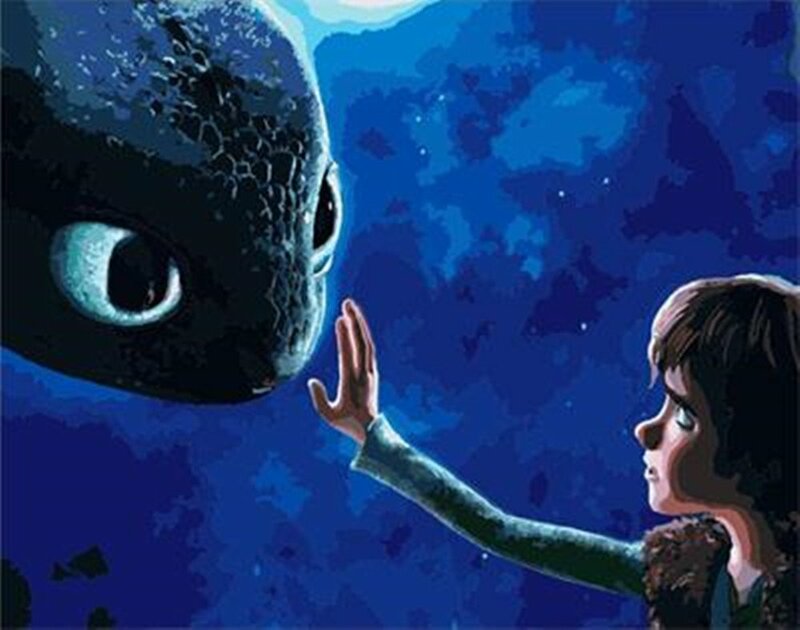 NOTE: You might want to pick up a few extra paintbrushes. 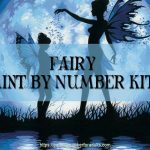 This cool Flying Dragon paint by number kit measures 16 inches by 20 inches when finished. 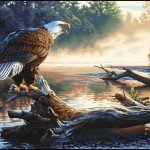 The kit includes framed pre-printed canvas, 3 paint brushes and all the acrylic paints needed to complete the painting. 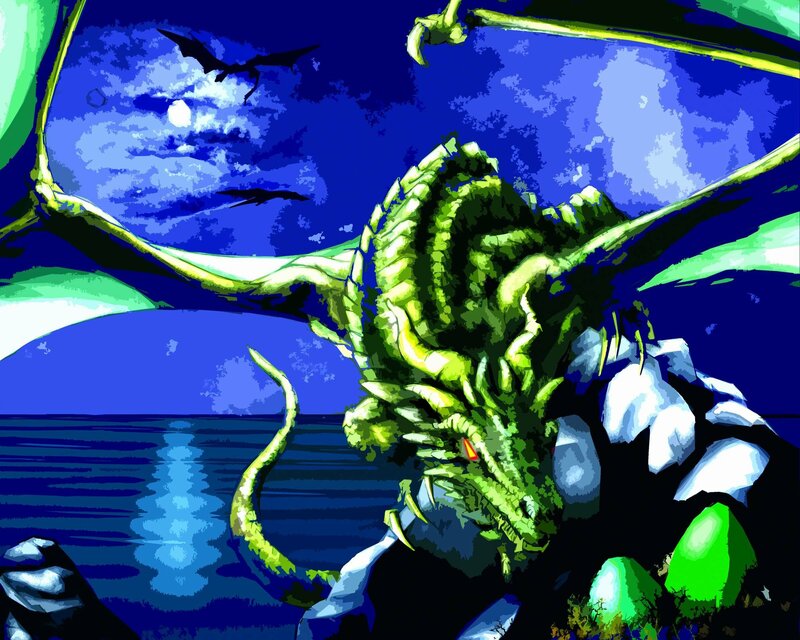 Another really cool Dragon paint by number kit that measures 16 inches by 20 inches when finished. 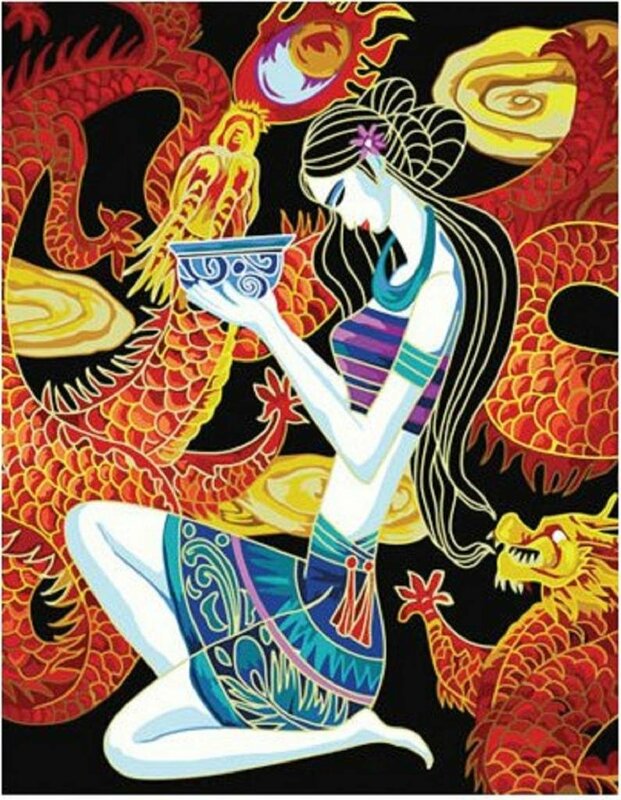 This is a little bit different and still has a dragon however, there is a girl in this paint by number. 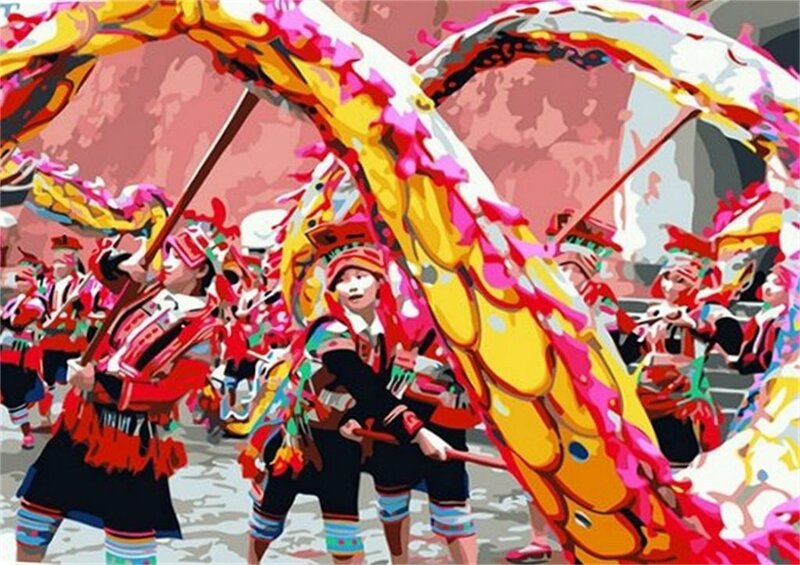 It’s really colorful and measures 16 inches by 20 inches when finished. 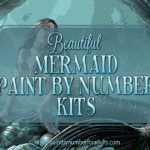 The kit comes with a pre-printed canvas, 3 brushes and all the paint needed to finish the painting. NOTE: you need to pick up a frame to stretch the canvas on.